In a tall, tall house up the big winding stairs was an important blank wall that was really quite boring. So the lady of the house went digging in the closets where treasures can hide until discovered. She found things from the present and things from the past. Grabbed a hammer and nails and hung them up fast! And that my friends, is how to make a wall look great right before you hear the doorbell ring. Sorry y'all, I don't usually rhyme but just couldn't help myself this time. It's true this gallery wall was created without buying anything. All of this came out of the closets when I was preparing to host the big baby shower back in January. This is one of my favorite projects in the house and it was almost accidental. Don't you love it when a project is accidentally wonderful? What a fun mix of fresh and traditional! It looks great and your stairway is beautiful! love and blessings and Happy Spring! You styled your wall perfectly, Stacey, and all with things you had! I love it, and loved your rhyme, too. Happy Easter week! This is fabulous! And the part I love the most? The chalkboard/writing piece. It really looks terrific, Stacey! I can see why it might be your favorite project! It is great. I would love looking at that each time I came in and especially headed upstairs. It IS wonderful! I can't believe you had so many great pieces just laying around! You did a beautiful job and your staircase looks amazing. How lovely. Makes quite an impression. It looks wonderful! I love gallery walls and yours is great! I love a lady that rhymes!! ;-) and so talented too..,looks gorgeous!! It looks beautiful, Stacey! 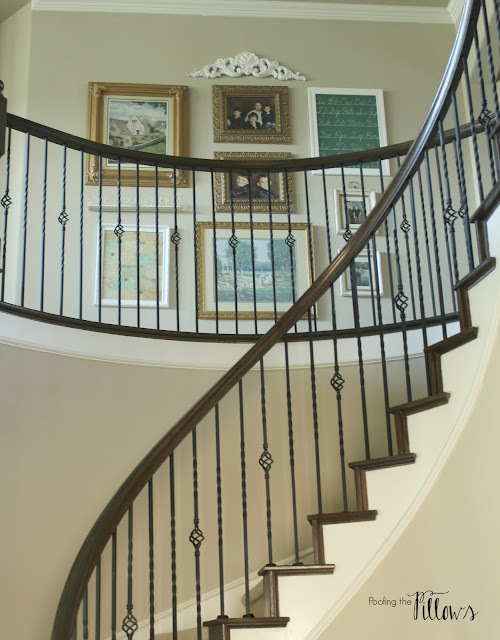 What a beautiful staircase and the gallery wall looks wonderful. You did good! Stacey that wall is gorgeous!! I love it! The staircase is so pretty too. What do you have planned this week? Thank is gorgeous Stacey. That is pretty amazing you just threw it together. Kudos to you on a wonderful addition to your home. Thank you for sharing your artistic wall gallery at DI&DI. This looks wonderful, and your spacing is great! I actually liked the rhyming ;) I have a wall in my hallway that needs this treatment but gallery walls kind of intimidate me. Your gallery wall looks perfect. And yes, sometimes the when you're in a hurry, you get the best results. I love your gallery wall, Stacey! I do think when we are in a hurry sometimes we do a better job. Maybe it is because we don't have time to doubt our decisions but go for it! What a gorgeous staircase! Love the mix of items you chose. It looks great, Stacey! Yes, I do love it when I can use what I already have. The gallery wall over our bed in the master was created the same way. I didn't buy anything new. I LOVE that staircase, too. Have a great week! Love the gallery wall and your stairs are stunning. Beautiful job! Yes, I love it when you pull something together super fast like that. It's like when you suddenly realize you have little time to do it, you get super inspired in a big way. Yeah, I crammed for tests too! LOL! It really does look so good! Love, love, love it Stacey! Is that your staircase? It is so pretty and I love the pictures on the wall. Those are the best projects! 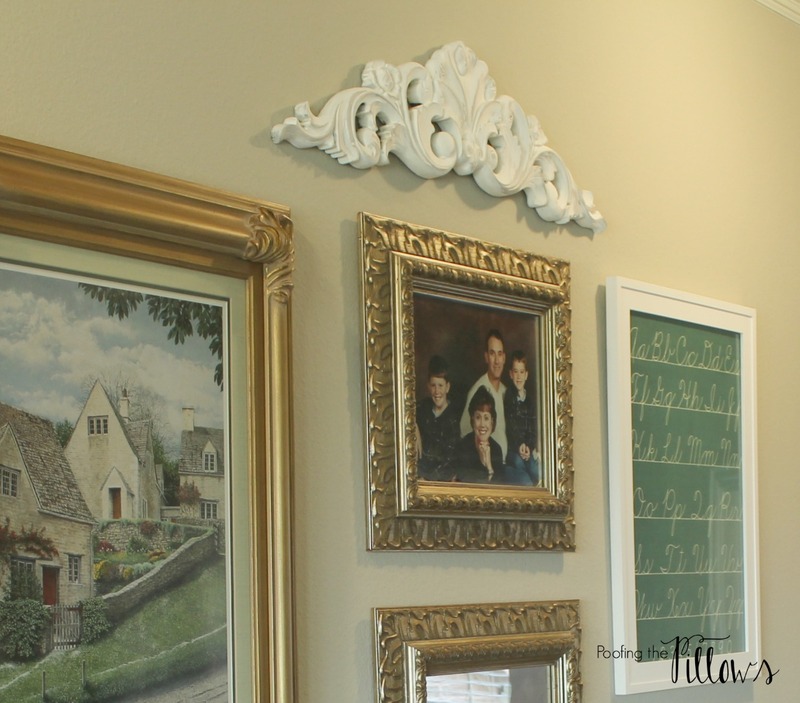 Love how your gallery wall turned out - the mixture of items looks great. Hope you have a great week! Your wall turned out great! The best projects are the ones where you can use things you already have and love. LOVE your gallery wall, my friend! You know what I like most about them? They are (usually) so personal. I like its location in your home, too. You rock! Your gallery wall looks beautiful. I love when you can use things you already have. Amazing! I love the architectural pieces you added in between your frames. It really makes the whole wall just pop! You ROCK at decorating and pulling everything together like it came right out of a magazine. 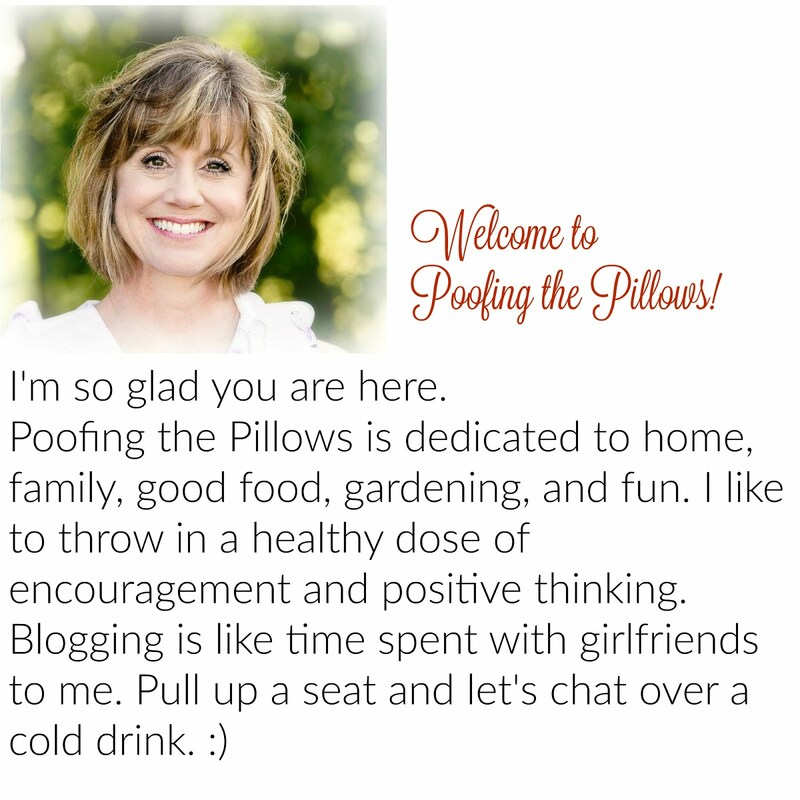 Hello Stacey, I'm so happy and thankful for you sharing your home decor with us at Cooking and Crafting with J & J. I look forward to visiting your blog and I'm now following you. I hope you will stop by and share with us again. Enjoy the week and have a Happy Easter. it catches one's glance from the first step of the staircase ! Your wall looks amazing, don't you love when that happens, accidentally and without spending a dime you create something fabulous? That's the best decorating!! And I love your rhyming too!! You are too funny!! Have a great day! I love gallery walls and yours looks so pretty with the staircase in the foreground. They don't have to be perfect but they look it when you are done! That is most definitely a wonderful gallery wall! There's no way I could have hung something like that by myself. I'd have a million holes in the walls. Lol! And by the way, your staircase is gorgeous!!! Hi Stacey, thanks for the party & Happy Easter! What a gorgeous stair case. I love the arrangement of photos. It's great when you can pull stuff out of a stash? 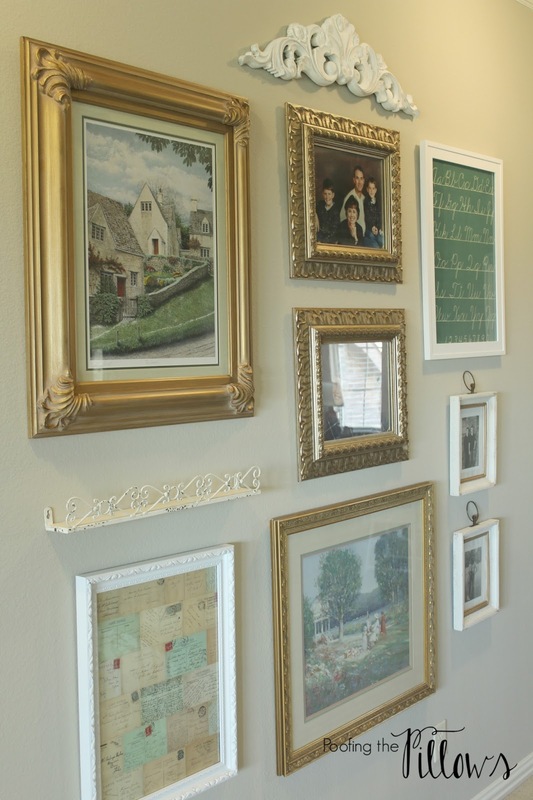 Your gallery wall is perfect! I'm so in love with your staircase too. Your home is so beautiful!! !